Salming Quest 5 TL Aero Black Edt. 29 JR - new for the upcoming season. 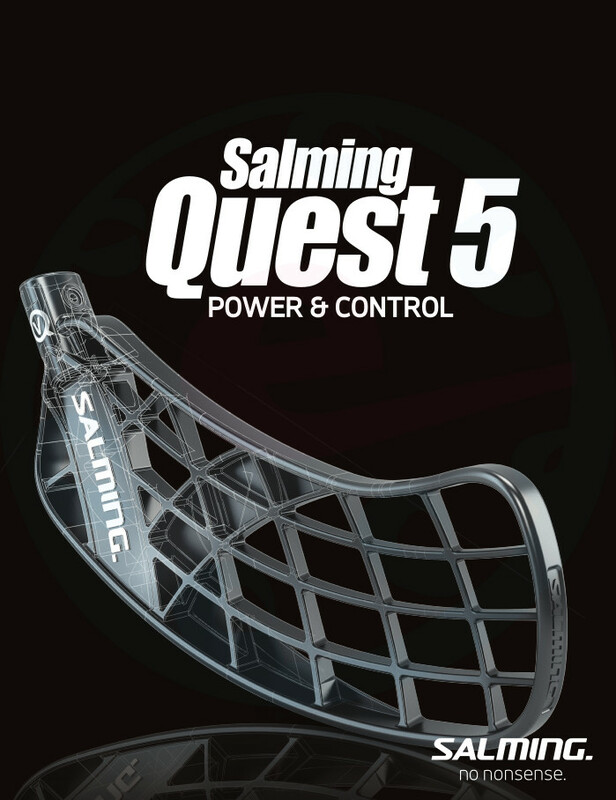 Completely new blade from Salming brand was created combining the best technologies from previous models Quest, Quest and Quest 1 second reinforcement structure in the bead area slowly moves to the bottom of the blade - allows harder blows. 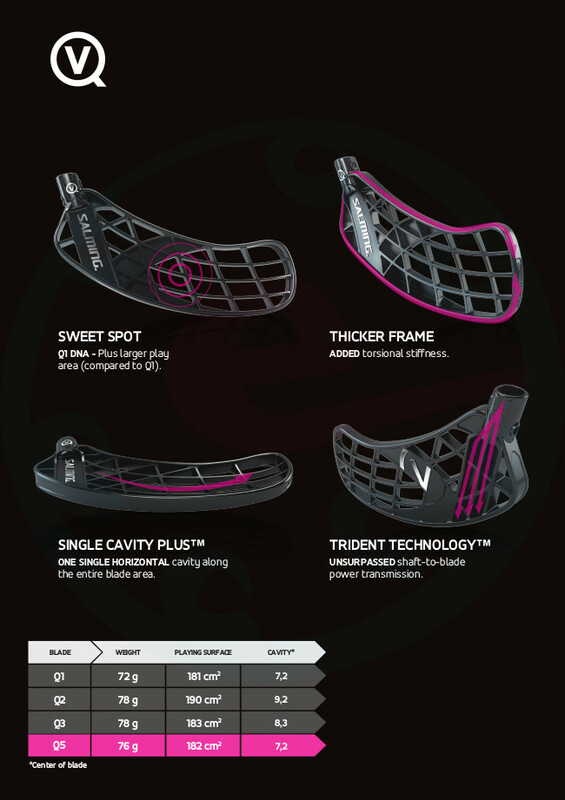 Selecting the entire length of the blade on the forehand side to facilitate the demanding technical elements and swift and accurate shooting. Amid the blade is one of the \ "rib " reinforced - the perfect place for keeping the balloon and shooting. 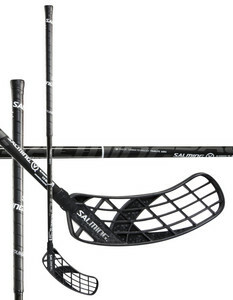 To create our light TourLite ™ shaft We use only the finest lightweight carbon fiber with a unique design. This led to the emergence of new, stronger and light sticks. Favorite shaft between the top players worldwide. When selecting the hardness of hockey in general, the children, less power players and technical players chosen softer sticks - hardness of 29 to 36 mm Medium power player chooses mostly hardness of 26 to 28 mm. Players who manage perfectly deflection and stick with them, "not practicing" at the shoot, choosing the hardness of 23 to 25 mm, it is mostly shooters with the force of arms.